Will this card be the only one you ever need in your wallet again? Startup Coin hopes so. Coin is a buzzy new startup that's making a digital credit card that stores information for all the other cards in your wallet. Coin's splashy launch generated a lot of attention, but there are several big issues that need to be resolved if it's going to be a successful product. Coin revealed itself to the world with a gorgeously produced video that lays out how the card will work: Swipe your credit, debit or rewards card through an attachment on your smartphone, snap a picture of the front and back, and the card's information is stored in Coin. Simple, right? Once your cards are stored, you can use Coin's digital display to select which of them you'd like to use to pay. Merchants swipe Coin just as they would a regular card. 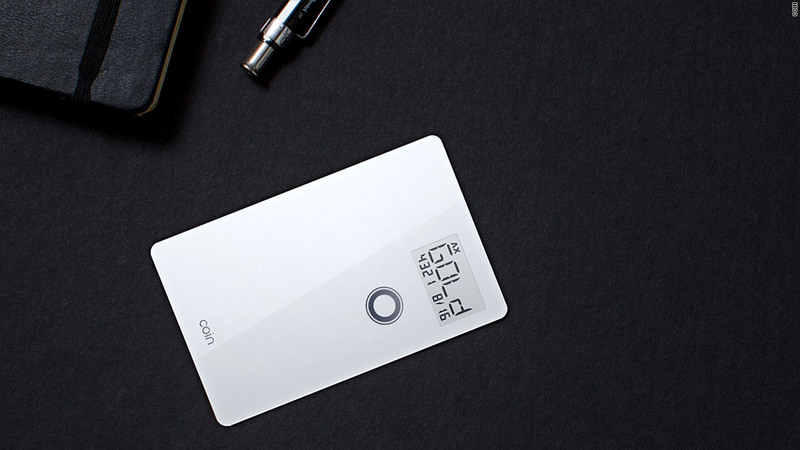 In short, Coin aims to solve the problem of too many cards in a fat wallet. That may not sound like a major issue to solve, but loads of people loved Coin's premise and pre-ordered the device for $50 ahead of its slated summer 2014 release (when it will cost $100). So yes, the hottest new startup product doesn't exactly exist yet. It's a common phenomenon in the Kickstarter world we live in. But CEO and founder Kanishk Parashar told CNNMoney that the company hit its fundraising goal of $50,000 worth of pre-orders in just 40 minutes last Thursday. The company -- which is backed by investors including Y Combinator and K9 Ventures -- has been testing working prototypes of Coin and is "two iterations away" from being ready to manufacture, Parashar said. Still, it's hardly clear that Coin can meet its promised launch date of next summer. As with any buzzy product that hasn't yet been released, various problems could crop up. There's already a similar "all-in-one" card called the Protean Echo that got some tech-press love in August 2012. But the Echo website still lists the product as "Coming Soon!" But even if Coin makes it to consumers on time, here are three other hurdles it must overcome before you can cut up all your credit cards for good. Coin won't work if your phone is dead: Yup. The current iteration of Coin "locks up" if it's away from your smartphone for more than 10 minutes ... or if your phone's battery has run out. It's a security measure to ensure that you don't lose your card, which is a valid concern. (Your phone will even send you a notification if you do leave your Coin behind at a bar.) But having to depend on battery-guzzling smartphones in order to pay for dinner is an obvious problem. The company is working on a way to let users re-activate Coin from the card itself, even if a phone is far away or out of juice. But that feature hasn't been worked out yet. Credit card companies might nix it: Coin hasn't secured approval with any of the major credit card issuers and networks it hopes to work with, nor has the company gotten a sense of whether the industry would embrace it. Parashar said Coin has had "some conversations with some credit card companies," but he wouldn't reveal whether they were major issuers or how they felt about his product. Why hasn't Coin had more wide-ranging discussions? "We're a really small company, and these are really large banks," Parashar said. "We will talk more when Coin is further along." But one could argue Coin won't get further along if nobody wants to partner with it. If major credit cards see Coin as a liability or ripe for fraud -- after all, the actual issued card isn't being presented -- Coin would be sunk. Even the mighty Google (GOOG) received an industry wrist slap in August 2012, when it expanded its mobile Wallet program. Google said all major credit cards had signed on, but American Express (AXP) fired back with a statement that it hadn't approved a partnership and was still learning about Google's technology. But Parashar insisted he has "no concerns" that credit card companies won't endorse Coin. The product already encrypts credit card information, he said, and Coin is working on "two more features to curb the possibility of fraudulent activity." Visa (V), MasterCard (MA), AmEx and Discover (DFS) either declined to comment about Coin or didn't reply to requests. Merchants might be stumped: Coin's design is slick, but it really doesn't look like the familiar old credit cards merchants are used to accepting. No raised-up numbers. No hologram. 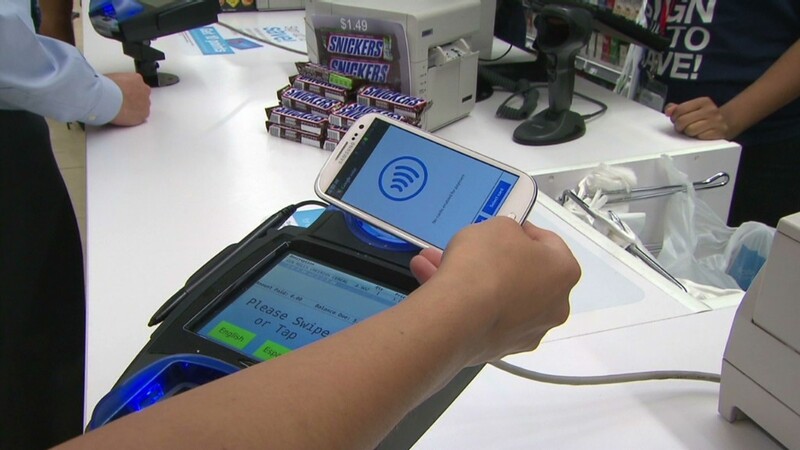 "When we pay with Coin in San Francisco, as part of our testing, we are always accepted gladly," Parashar said. And while it's true that other new mobile payment solutions like Square are becoming more common with retailers, it's easy to see how merchants outside of the Bay Area tech scene might be skeptical of a credit card that doesn't look like anything they've seen before. Yet Coin doesn't plan to reach out to merchants to facilitate a nationwide rollout. "We don't plan to go out of our way to educate the merchant world about it, because we're focused on the consumer side," Parashar said. "And anyone who works on the merchant side is also a consumer anyway." Coin has set lofty goals in attempting to tackle the payments industry. But it'll take more than hype to completely revamp the wallet.